We’ve trawled the shops for the best selection of books for Mum this Mother’s Day. Here’s our pick of the bunch. Head to your local bookstore to get yours. 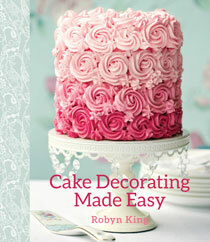 Learn how to turn a plain cake into a masterpiece with Robyn King’s new book. Aimed at beginners, Cake Decorating Made Easy has everything you need to get started – great cake recipes and step-by-step directions on how to decorate them. King also includes recipes for various icings, gum paste, ganache and sugar syrup and has sections on tools and specific techniques, including piping techniques, making flowers and figurines, lettering, making bows, ribbons and ruffles, brush embroidery, 2D pictures, lace techniques, stencilling, and more. A great book. 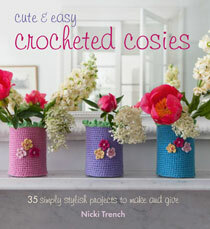 Expert crafter Nicki Trench has produced yet another gorgeous book, this newest release with patterns for 35 crocheted cosies for the home, handbag and office. These projects are super cute and ideal for both beginners and the more advanced. Start with simple vase cosies to brighten up your mantelpiece, keep your tablet safe with a wave-patterned striped cosy, then move on to more complex designs such as the adorable daisy tea cosy, the pretty lace tea light covers and the soft and warm hot water bottle cover. There is a comprehensive section that explains all the stitches with clear artworks and instructions. This book would make a lovely gift for a crafter, or keep it for yourself to make your own gifts for others. This book is truly amazing. 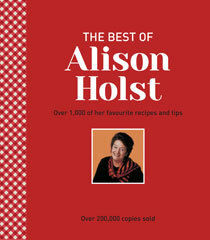 With 1000 of Holst’s very best recipes, there is something for every meal and occasion, from breakfast, lunch and snacks to dinner and desserts. There are starters, sides, soups, salads, sauces and dressings, vegetarian and non-vegetarian meals, breads, baking, confectionary, preserves for the store cupboard – and more. There are also superb tips on food preparation, cooking techniques and ways to store food. The back blurb says, “If you have no other cookbook in your kitchen, this best-selling cookbook is a must.” We’d have to agree. 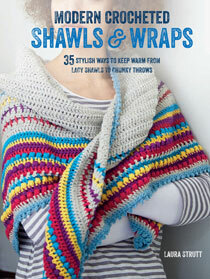 With “35 stylish ways to keep warm, from lacy shawls to chunky throws”, this beautiful new book by Laura Strutt is just the thing for crafty mums. The patterns range from a simple, slip-on crochet wrap (great for beginners) to a large open-work shawl with tassels, plus cowls and capes, including hooded and collared capes. There is even a “stash-buster” pattern with a mix-and-match border designed to use up your colourful leftover yarns. The skill level ranges from beginners to advanced, depending on the pattern. There are also tips with each pattern for creating different looks and a full section on mastering the different crochet techniques. Yum! This book is chock full of delicious recipes that use foods that haven’t been processed or filled with chemicals, additives, preservatives, artificial flavours, colours or enhances. 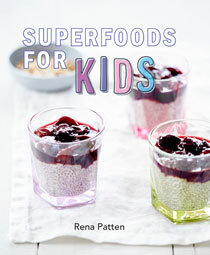 Think chia seeds, quinoa, kale, cacao powder, and more – all ingredients in child-appealing recipes for breakfast, school lunch boxes, dinners and special treats. Adults will love these recipes too – in fact, we can’t wait to get cooking! This is a wonderful gift for the health-conscious mum. This absolutely gorgeous book by Kiwi artist Liza Adams teaches all aspects of the art of needle-felting so that you, too, can create your own works of art. There are beginner, intermediate and advanced projects, with each new project introducing different shapes, details and joints. Each project has detailed step-by-step instructions, with photos at every stage. Projects mainly include bears and bunnies but there is also a doll, a pincushion and other small projects. 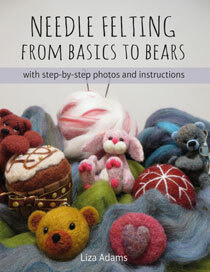 This is a superb book on the techniques of needle-felting – any crafter will love it. We LOVE this book! With instruction from patissier and chocolatier Will Torrent, it has all the recipes you need to host the ultimate tea party at home. 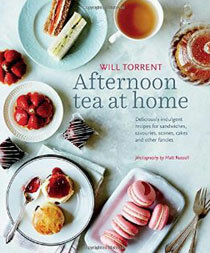 Chapters are arranged by season, with additional chapters on a Classic Afternoon Tea as well as Something Special, with each chapter showcasing key techniques involved in patisserie, baking, chocolate work and serving savoury dishes. All up, there are 80 recipes, with six guest recipes from top restaurants and hotels, including The Ritz London, The Dorchester, The Berkeley, Gramercy Tavern, Belmond Le Manoir aux Quat’Saisons and Harrods. There are delicious sandwiches, scones, tarts, eclairs, shortbread, friands, mini cakes and more, plus essential store-cupboard recipes for basic jams, spreads, butters and curds. Divine. 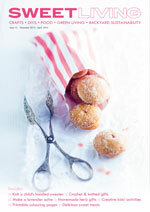 If your mum loves to read, check out this new novel by Kiwi author Karen McMillan. Set in San Francisco in 1948, the tale begins with Polish migrant Celina and her family arriving on a Liberty Ship into the Bay Area. They had previously suffered appalling hardships in Warsaw under the Nazis, Celine as a member of the Polish Resistance and her husband, Rafael, a pilot with the RAF. They have high hopes for their new lives, but just around the corner is betrayal and heartbreak. The migrants struggle to establish a new life in America, with McMillan portraying the long-lasting effects of war, both physical and mental. This well-researched novel paints a vibrant picture of post-war San Francisco, from the jazz clubs in the Fillmore District to the vineyards of Sonoma. 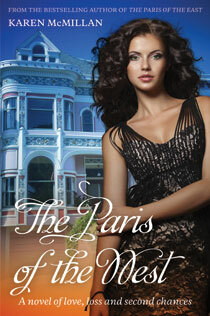 An enjoyable historical read with a touch of romance.